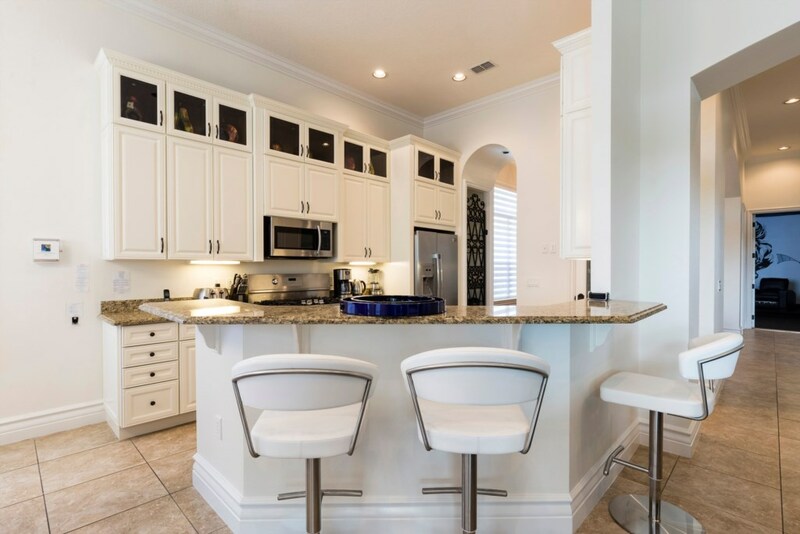 This beautiful Mediterranean style home is grounded on an enviable position in an imposing corner lot, one of the largest lots within the highly sought after Muirfield Loop area of Reunion Resort. Soaring ceilings and a gallery landing overlooking the center of the home and upwards into a detailed atrium, is only one of the outstanding features this estate home has to offer. 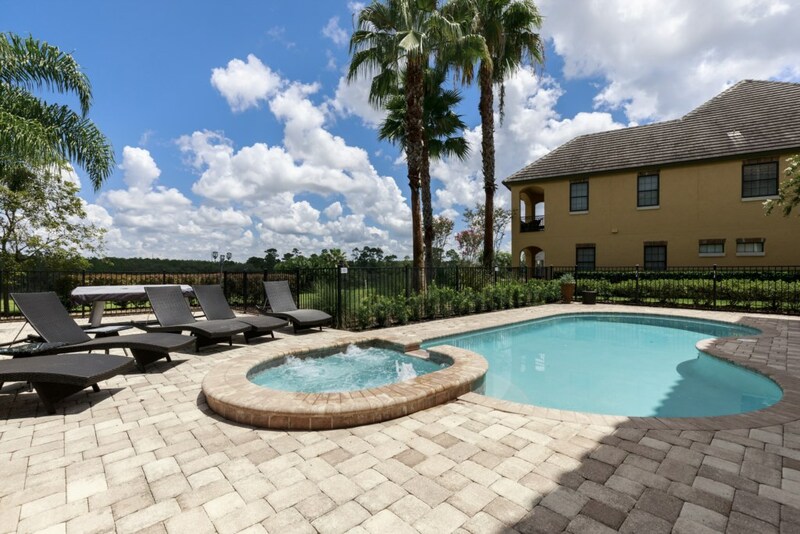 The open plan living and dining areas lead onto the paved pool deck with a large covered dining area overlooking the 10th hole of the PGA Jack Nicklaus course, the newest of Reunions three PGA courses. Contemporary furnishings, luxurious fabrics, and custom window treatments have been artistically combined to provide comfort at the highest level. 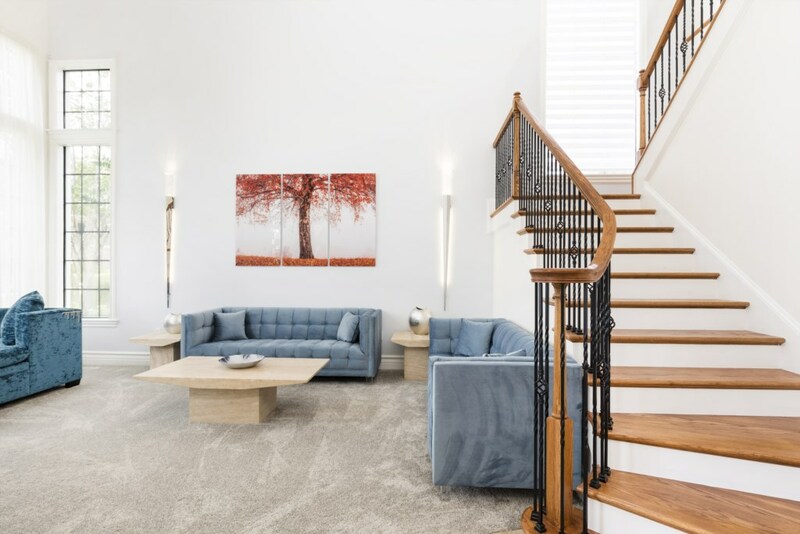 You enter this amazing home into the hallway with it's travertine floor, stone pillars, soaring ceilings, and a beautiful staircase, featuring wood and wrought iron work. The formal seating area is located at the front of the home with its neutral toned carpet and comfortable furniture. This makes this home a perfect area for relaxing and quiet time. The travertine floor continues through into the living area which includes a guest rest room, the formal dining area which has eight seater dining table, the kitchen with granite counter tops, stainless steel appliances, over sized gas range, and wine store. There is a dining nook with an eight seat high top, and a family area with a large sectional sofa positioned in front of the open fire place, and a large flat screen TV complete with surround sound mounted above. A wall of sliding doors offer an amazing view over the pool deck and golf course. The only bedroom on the ground floor is the luxurious master suite with four poster beds, a seating area, and sliding doors leading onto the pool deck. The master bathroom suite has a sunken jacuzzi spa tub, walk in shower, twin marble vanity, and a fully fitted walk in dressing room. Also located on the ground floor is the amazing entertainment room with movie theatre including a 119" screen, projector, Xbox 360, a selection of DVD's, reclining movie seating, full size slate pool table, and foosball table. This area has been created using the best technology to guarantee you hours of entertainment. Upstairs there are three further king-size suites each with access onto the large rear balcony furnished with comfortable seating ideal for those beautiful summer evenings to enjoy the tranquil setting of the golf course, and equipped with an adjoining conservation area. There is a fifth king-size bedroom and the sixth bedroom having two full size beds and a Juliet balcony to the front of the home. These two bedrooms share a bathroom. Every bedroom has been furnished to the highest standard with your every comfort having been catered to including flat screen TV's with built in DVD players and the home has a monitored security system. Outside you will enjoy the large covered area with outdoor speakers and dining for 12 persons perfect for those al fresco meals prepared on the newly constructed Summer kitchen which incorporates BBQ, refrigerator and sink or cooling off from the sun in the shade. 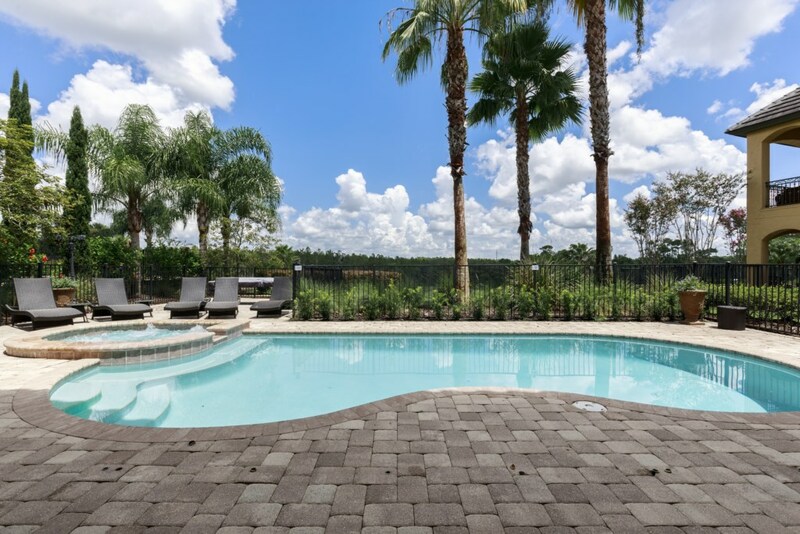 The heated pool and spa are surrounded by a paved deck which has been recently extended to offer an area with sumptuous loungers bathed in sunlight all day overlooking the golf course. All very clean. The staff came out on a Sunday to sort internet issue - very friendly and helpful. Extremely likely to return! This home really made our holdiay special for our family with lots of space and a great pool, thank you.